Wonder why you’re always the one at your job brewing up the next pot of joe? It could be that you’re hardest working employee the company has. But it’s just as likely that you are a genetic freak! A new study published in Molecular Psychiatry has linked coffee and, in turn, caffeine consumption, to six genes that affect the body’s response to the stimulant. Researchers made the discovery after digging through 28 previous studies that dealt with the genetic makeup of more than 120,000 coffee drinkers. Sounds like these researchers were jacked up on plenty of caffeine themselves. The genes discovered all play slightly different roles. 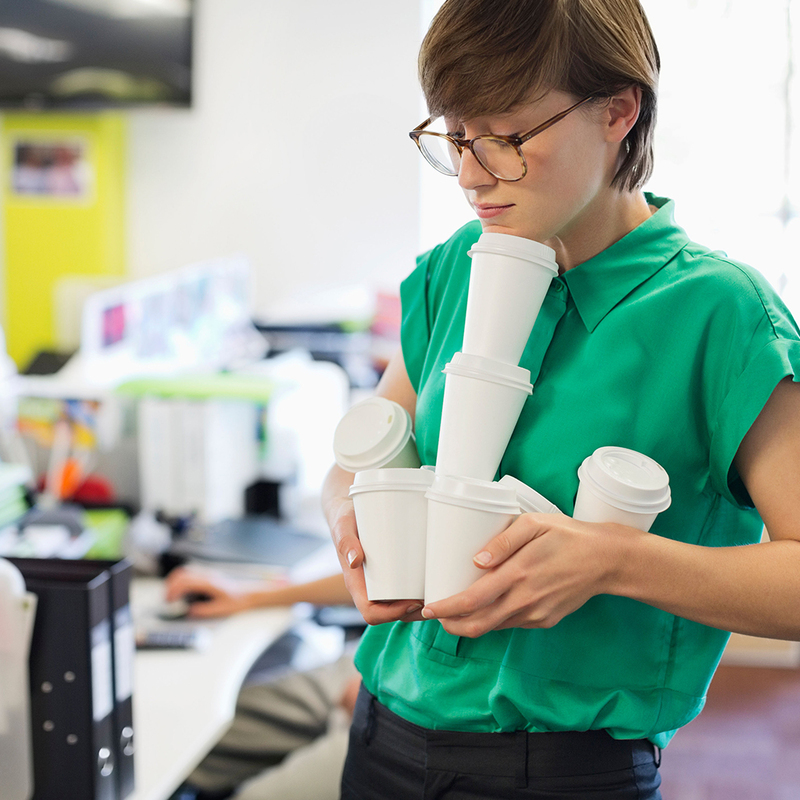 Two deal with the way people metabolize caffeine, meaning they process the drug more easily. Two others relate to the high people get from their brain’s pleasure centers. The last two deal with metabolism of fats and sugars. But all caused an increase in the subjects’ desire for coffee. Rachel Poole, a postdoctoral fellow at the Monell Chemical Senses Center in Philadelphia, hedged a bit saying, “It would not be correct to conclude that coffee consumption is driven solely by genetic responses to caffeine.” She points out that coffee has a lot of “bioactive compounds,” and people regularly add milk and sugar to their coffee, which have their own effects. Still, when you’re heading toward your third Starbucks visit of the day, saying, “I was born this way!” feels like a great rationalization…a feeling almost as good as more caffeine.